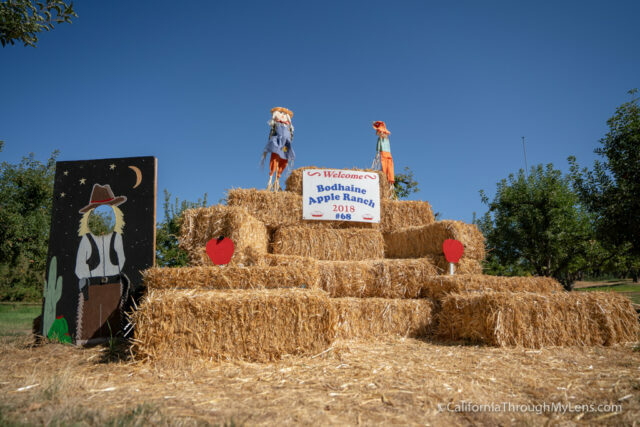 Apple Hill is a favorite spot for Sacramento residents during the fall as it provides a fun escape from the city and one that allows you indulge in all sorts of apple related desserts while also getting a chance to pick your own apples at one of the many orchards. 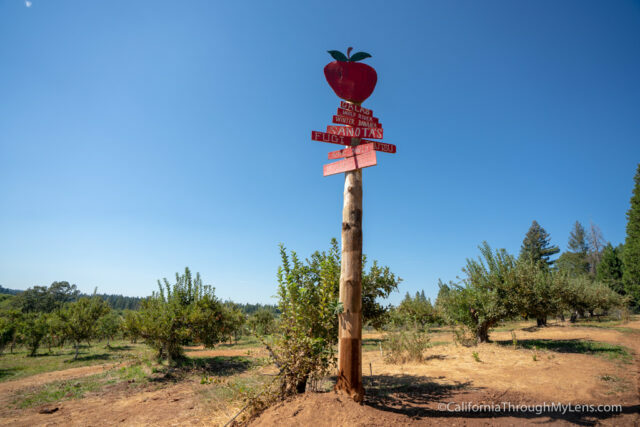 There are over 50 orchards in Apple Hill though so it can be a little confusing to figure out where to go. I haven’t been to all of them, but I do have a few favorites that I always stop at when I visit the area. 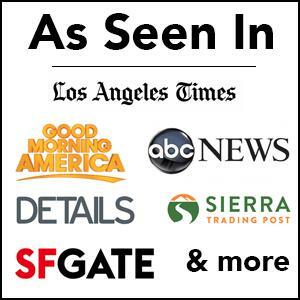 You can read about them below and let me know what your favorite spot is in the comments. 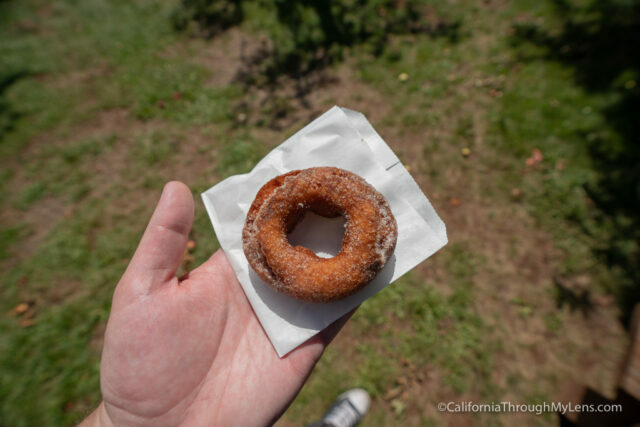 If you have followed this blog for a while, then you probably know that I love donuts. 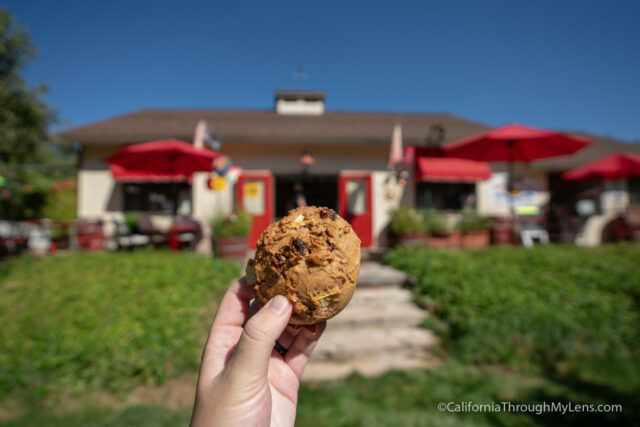 So for me, a stop at Rainbow Orchard is a must as they are supposedly the creator of the apple cider donut that is so popular in Apple Hill. These donuts are made to order and come out piping hot and covered in cinnamon and sugar. It’s one of those things that never lets me down, and the light crunch from the fried batter is something I look forward to. They also have apples to purchase here and apple wine as well if that is something you are in to. You can eat/drink all of this on the patio tables sitting out in the orchard near where you park. 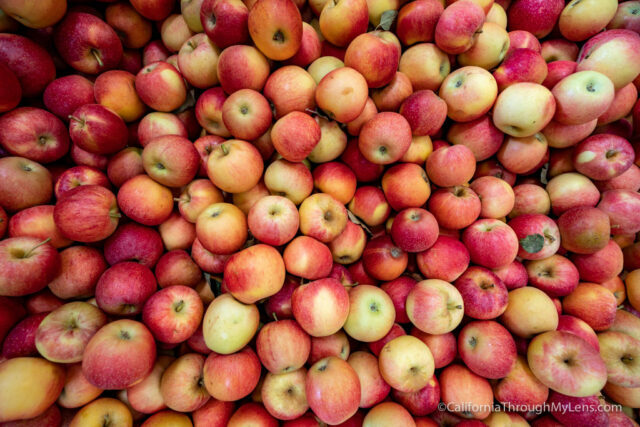 There are many places to pick apples, but my favorite is probably Denver Dan. What I like about them is the sheer amount of apple trees they have, in dozens of different varieties. You can walk the grounds and check out all of the trees, picking whatever you would like as it is pay by the pound. The people are also excellent at Denver Dan as well. 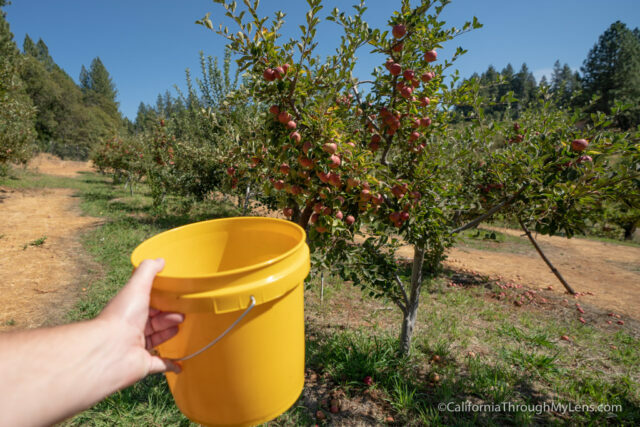 Each time I go I am greeted enthusiastically by the staff working there, who you can clearly see love what they are doing and love encouraging others to experience the apple orchards as well. 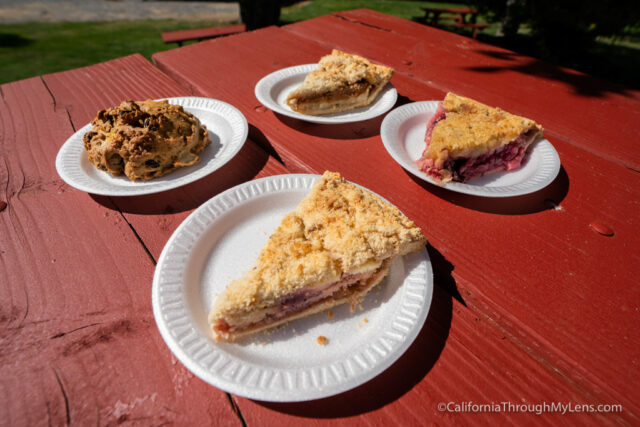 If you research Apple Hill, then you will no doubt see this spot recommended over and over for its award-winning pies. I can say that those pies are worth stopping for and have lived up to the recommendations for me. 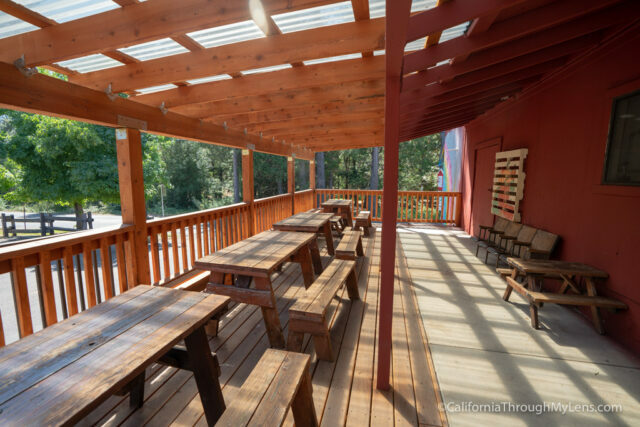 The ranch is relatively small with a parking area and a building to buy pies in, but there are lots of tables both inside and out that you can use to enjoy your pies at. The standout pie for me is the apple blueberry sour cream. You might think that sour cream is a weird add-in for a fruit pie, but it mostly just adds a nice smooth flavor to the pie. I have tried the four main pies here though, and I like them all so if the above pie doesn’t sound like something you would want then check out one of the others. 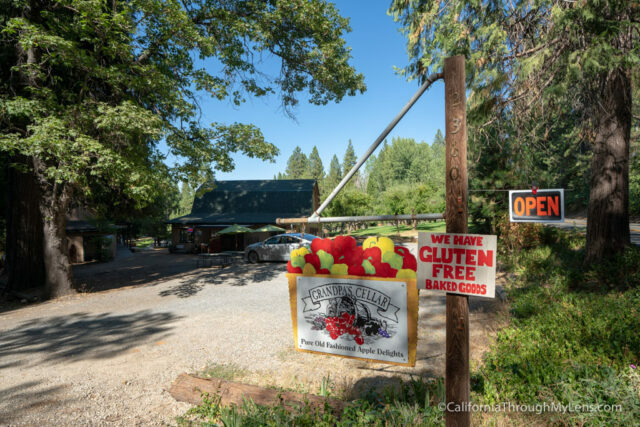 Grandpa’s Cellars is right across the road from Bodhaine Ranch and what I like about it is that it is one of the more low key ranches. 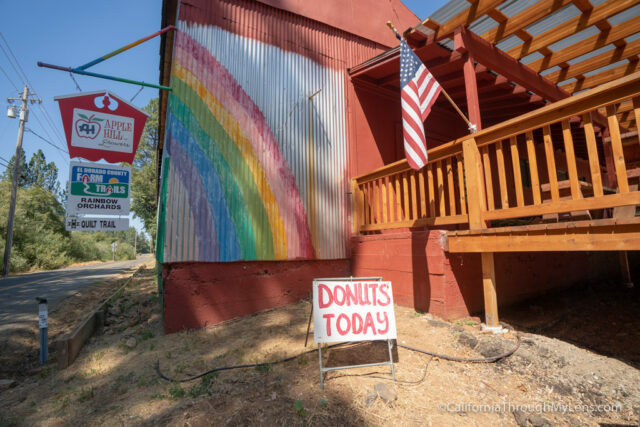 The small one-room building has all sorts of pastries and apple ciders to indulge in, but for me, the people and the property are why I always come here. 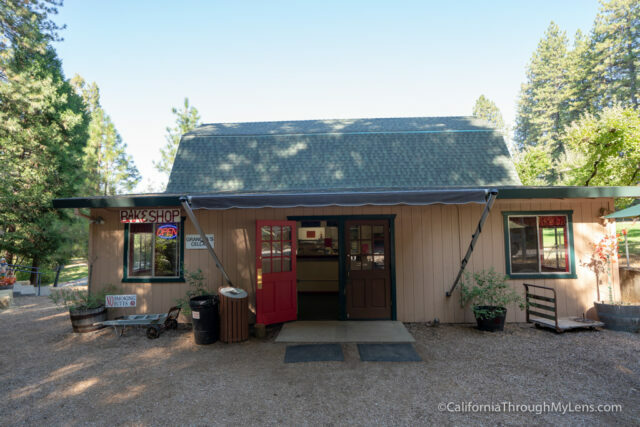 The people are fantastic with smiles and excitement when you make your way in, and the property features a large section of grass and apple trees with picnic benches strewn around. I love just sitting and relaxing here while in Apple Hill. 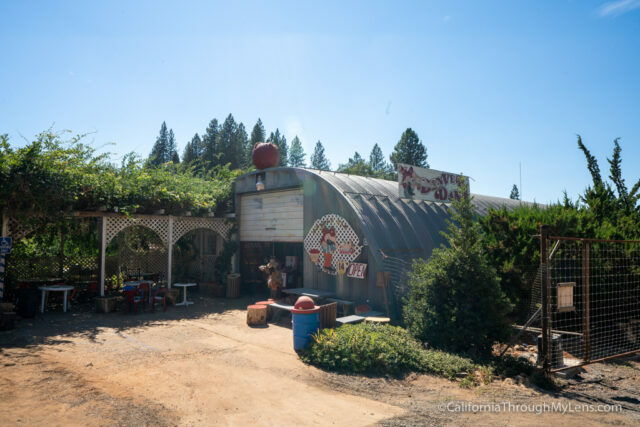 Here is a video I made of my time in Apple Hill as well. So there you have it, the four spots I visit the most in Apple Hill. 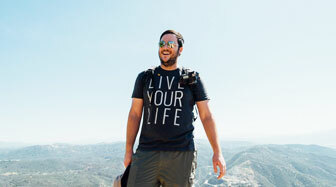 Let me know what I left off in the comments so I can explore some of your favorite spots as well.